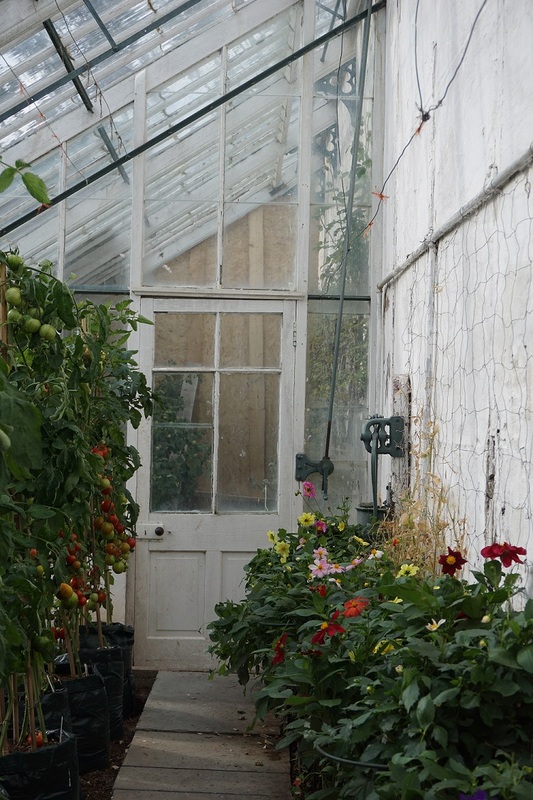 When LD and I met nearly 18 years ago I immediately knew that the Walled Garden was a little slice of heaven. It had a load of noisy exhibition poultry in there, but in due course this would be my project connected to my passion, food history. So our horticultural manager – the clever one who grew all those lovely strawberries – retired and I was asked to manage the garden team in his place and my goal was a little closer. 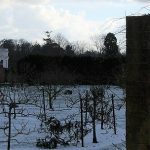 After a few years I evicted the exhibition poultry from half the Walled Garden – you can see them in the photo above – I planted an orchard. It was not a great success, but it looked pretty. It was a lot of weeding, but we’d just discovered the Japanese razor hoe, so we managed and it looked just lovely. 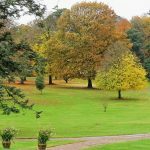 Gardeners retired – JT – and groundsmen left – JB – organic gardeners arrived JR & KS. The place became more and more weed infested as no spray and low till were the buzz words of the then team. Till finally, hurrah!!! AH arrived into my personal paradise. We’re still no spray and much closer to organic than ever before, but with her came BR & GH, young, strong and willing. A joy! The Walled Garden was suddenly as near as weed free as you can expect, the Peony Border – in some posts I call it the long border – was planted up and weeded. The Rockery was weeded, again, and recently put to bed for the winter, still to be pruned heavily, but really tidy…………. 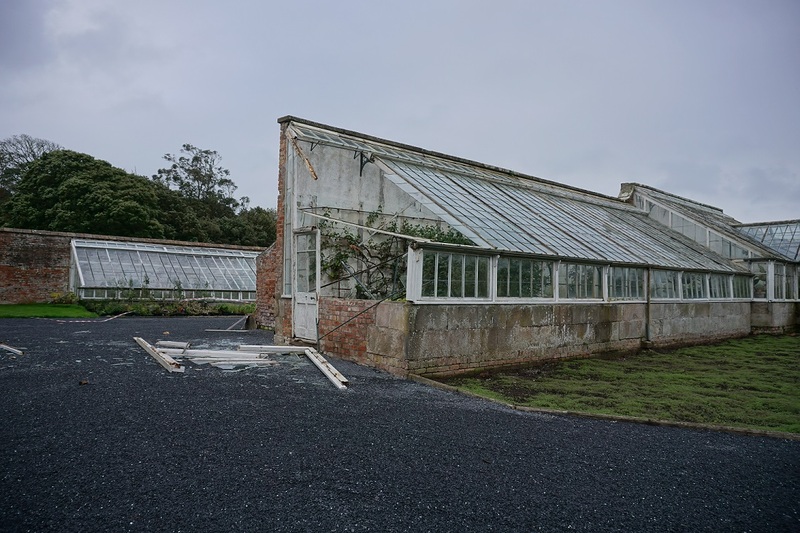 we were waiting for the Glass Houses in the Walled Garden to have their annual round of maintenance, when storm Ali arrived this morning. 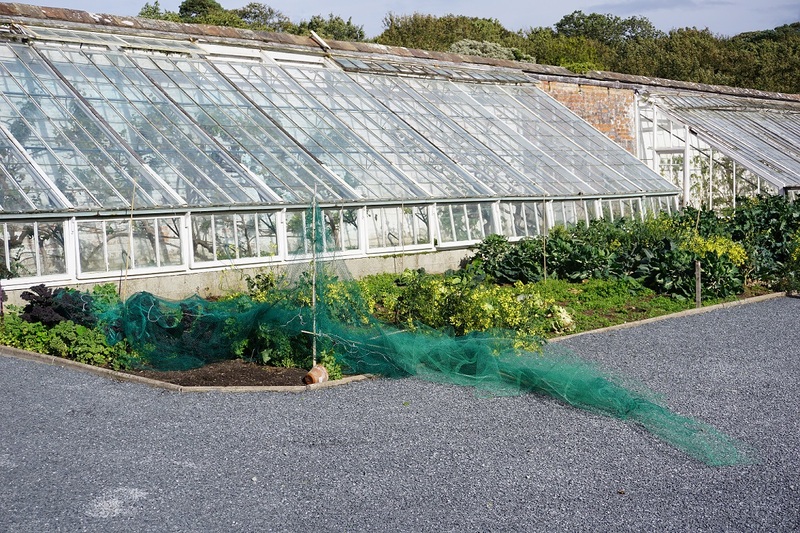 The south western end of the 18th century glasshouse was blown away. For the first time in 10 years we had apples on the trees. These and other fruit has been blown off and our only crop will be wind-fall apples and quinces. 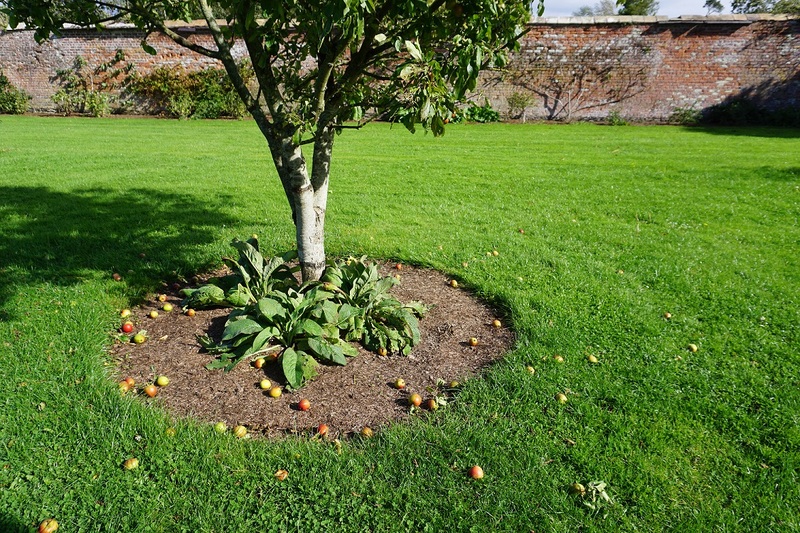 AH, you see, discovered that the fruit trees were not fruiting because they cannot put their roots deep into the ground. There is clay about 2 foot down, so all our trees have very shallow root nets and when I was weeding with my fantastic Japanese razor hoe, I disturbed the roots making it impossible for the trees to fruit. 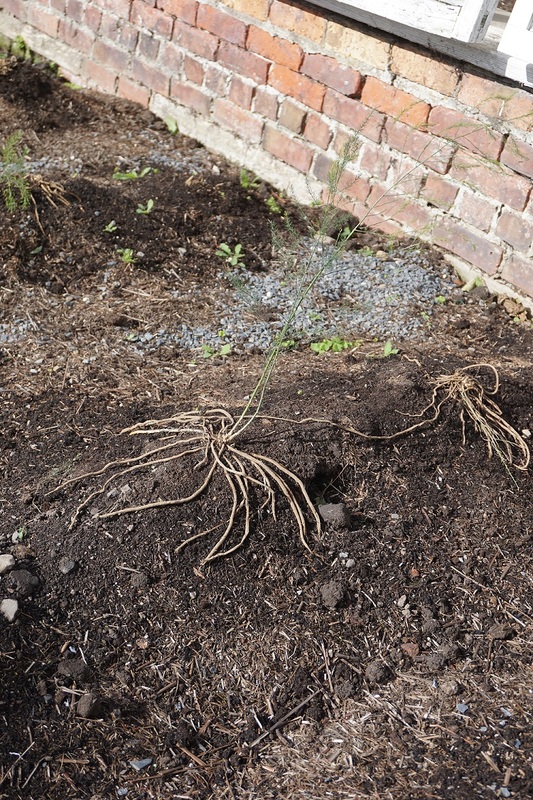 It rained so hard last night the soil mounded up in the new asparagus beds was washed away and now asparagus plants are clinging on for dear life, like long-legged creatures. The Brassica Palace is gone, built by Gaetan in May, and by tomorrow morning the pigeons will have had a big feast and the rest of what is in there will be gone too. 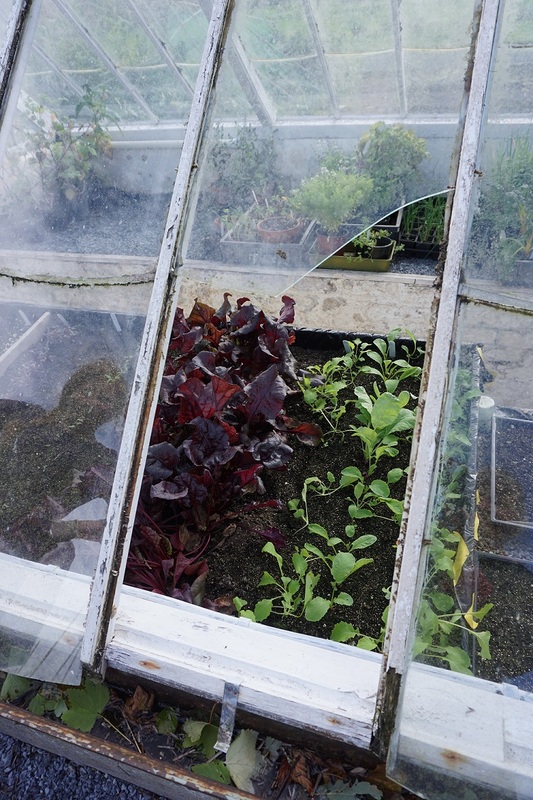 Even the forcing house had a pane blown out just where the propagator was heating some seedlings for winter crops, letting lots of lovely warm air out. 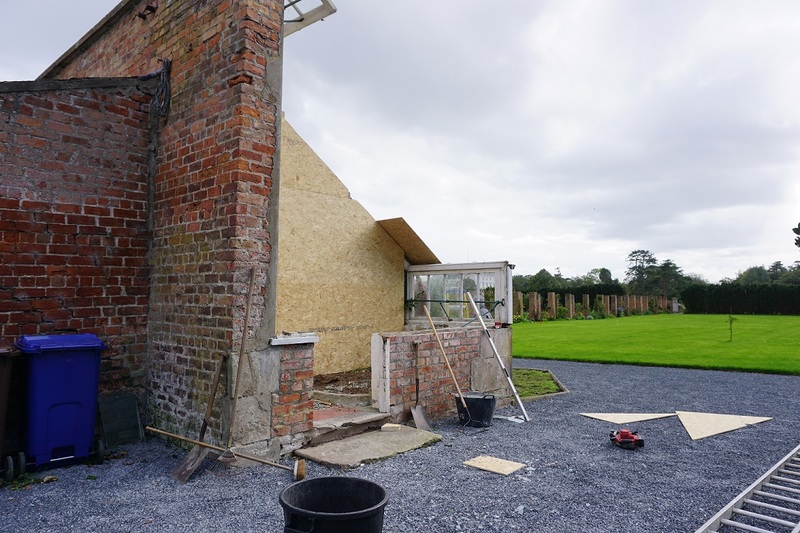 By 4 o’clock the storm had blown through and our wonderful builders were in making Glasshouse no. 7 safe but what a sad picture it is both from the outside and in. How will we recover from this? I want to cry…..